Since a couple of years, small Frankfurt-based Trilatec GmbH offers the industry a highly innovative so called ‘squAIR-timber’ Euro pallet solution made of cardboard fibers. Despite the product’s advantages in comparison to wooden materials the vast majority of airlines remain hesitant, sticking to old operational procedures instead of exploring new avenues. There is no data available revealing how many trees must be felled year after year to be processed into wooden pallets, utilized by the air cargo industry as platforms for shipments. It must be an awful lot, measured by the number of timber-produced ULDs seen at airports or in warehouses operated by ground handlers, forwarding agents or carriers. The general perception of these actors - expressed in more casual terms - seems to be: “Our company uses wooden pallets, so do our competitors, their ground handlers and forwarding agents.” So nothing can be wrong with it, since everybody relies on pallets made of wood. Everybody? Not anymore because some actors became smart, leaving the well-trodden paths, opting for alternatives instead. As did pioneer Cargolux two years ago, becoming the first airline worldwide to utilize Trilatec light weight ULDs in their daily operation. 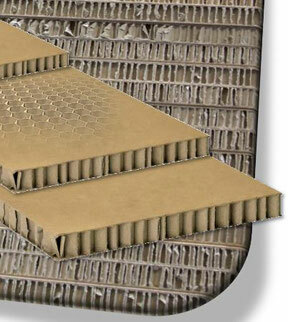 Their beams and skids are made of special waterproof cardboard fiber composites, offering full recyclable capability. Compared to conventional wooden beams they are 80 percent lighter, thus allowing higher payloads and less fuel burn, reducing greenhouse gas emissions. They are also resistant to humidity as test series have proven. A Trilatec produced pallet consisting of a cover plate, beams, and skids has a load capacity of up to 10 tons. Needless to say, that operators can generate weight and cost savings when switching from wooden material to the cardboard solution. Which also lowers the sickness rate of the ground handling staff, firstly because back complaints are reduced due to the easy handling and manual lifting of the light cardboard material. Secondly, the staff doesn’t risk hurting their hands or fingers caused by wooden splinters. Trilatec MD Andreas Langemann refers to findings documenting a sickness decline of 30 percent at companies that switched from wooden pallets to his company’s cardboard beams and skids. 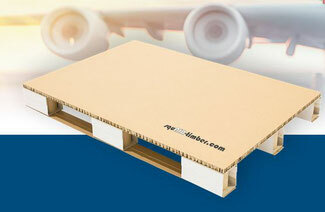 Besides Cargolux, DB Schenker decided to build their air freight shipments at Frankfurt, Vienna and Luxembourg on durable Trilatec Euro pallets instead of using timber made ULDs any longer. Interestingly, the cardboard-made pallets live much longer and can therefore be used more frequently compared to their wooden peers. But how come that Trilatec ULDs continue eking out an existence as a niche product despite their proven superiority to timber-made pallets? It needs guts, an innovative spirit and short decision-making paths to overcome traditional habits and decide in favor of innovative transport solutions, notes Mr Langemann. As an example, he mentions the Cargolux, whose managers needed two days to evaluate the pros and cons of the Trilatec product after it was presented to CV. 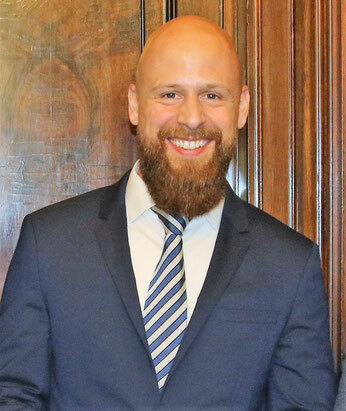 “They started calculating the project behind the decimal dot and gave the go ahead for the entire ops of the airline right after finishing their evaluation,” recalls Mr Langemann. In contrast, another cargo carrier tested the product for more than two years but missed a result so far. “Too many hierarchies, bureaucratic obstacles, reluctance to take decisions,” are by experience often the main stumbling blocks delaying or even impeding final decisions, the manager says. Back to Cargolux: They speak of annual weight savings in the region of 1,200 tons as result of using Trilatec beams instead of timber-made Euro pallets. This not only lowers fuel burn and hence greenhouse gas emissions but ups the carrier’s revenues. Have 100% sympathy with TriLaTec's experience. When we went to the market after launching EDIfly's messaging with the same pioneering company Cargolux, most Airlines said 'we should come back after we have 10 airlines'. And this despite savings that could have easily exceeded 75% for cargo and passenger messaging - totalling up to hundreds of thousands of dollars (or even millions in some cases). We have in excess of those '10 airlines', however, it took us seven years to get there. I see TriLaTec's technology gives even more advantages than just saving the wood and the weight - it would be possible to redesign many physical processes in and around the warehouses at airports and forwarders alike due to the ease of handling of this loading material. Innovation remains a conundrum to solve for the aviation business!